My name is Zita and my husbands name is Per. We are parents to 4 lovely growen up kids and we are also blessed with lovely grand children. The pugs are our life and our “children” and our big hobby. It is them our hole lives turns around and them we talks about. The take a very big part of our lives – it is almost like that we can’t say anything with out the word “pug” is involved and almost all our private friends – are involved with pugs. 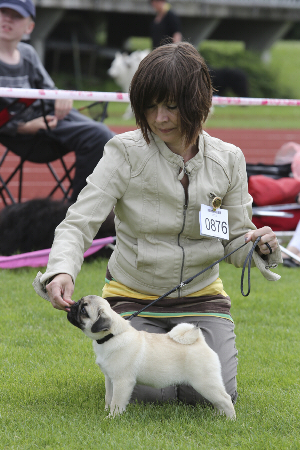 We also like to show our dogs so we show both in Denmark and other countries. Those small sweet Gods creatures are always happy, they offer you ever lasting love are always happy, the adore you and stays by you site. Our dogs are all sweet and loving, and they live a lovely (dog) life, by our site. 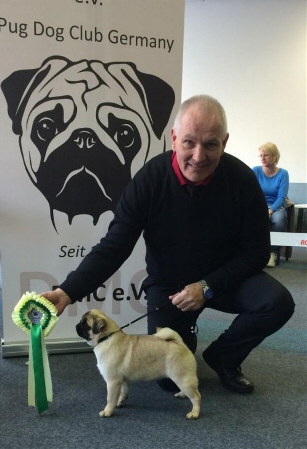 Zita has taken DKKs Breeder Education, and the Extended Breeder Education, also the DKK/KSS Flat nose seminar. 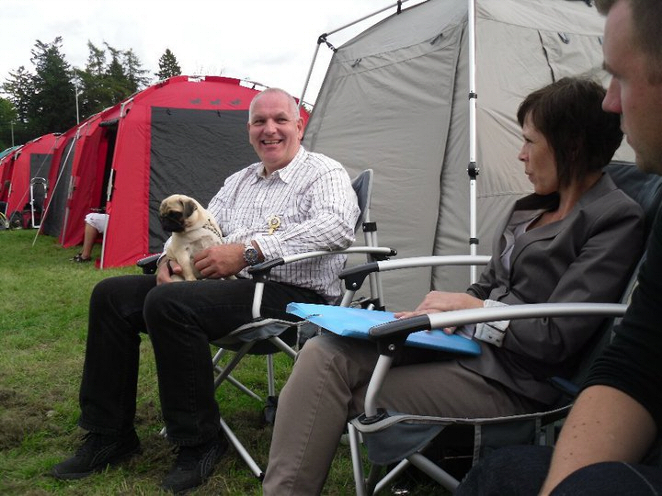 Per has taken DKKs Breeder Education, as well as construction training with particular law and genetics. Per has also DKK Anatomy-course and several handling-course at Gerard O'Shea & Hugo Quevedo, and show-training with Felicia Céline Olsen. He also has Pat Hastings seminar and DKK/KSS Flat nose seminar. Health of our dogs has top priority, so we feed our dogs with fresh raw meat called BARF, and in periode Acana. Our dogs deserve “the best” and when our dogs of course also get puppies, we can positively affect the health of subsequent generations. All our pugs runs and walks by the forest and the beach, because all dog, no mather the breed, need plenty of exercise and experiences.